During the years preceding the Second World War Opel was Germany's largest truck producer. The Blitz name was first applied to an Opel truck in 1930 and by 1934 there were four base versions offered of the 1 tonne model along with fourteen versions of the larger 2/2½ tonne trucks. The subject of this kit is the 3 tonne version. From 1939 onwards the 3-ton version was used frequently throughout World War II, among other things as service vehicle for the Messerschmitt Me 323. A half-tracked version, using tracks and suspension based on that used on the Universal Carrier, was also produced as the Opel Maultier (mule). 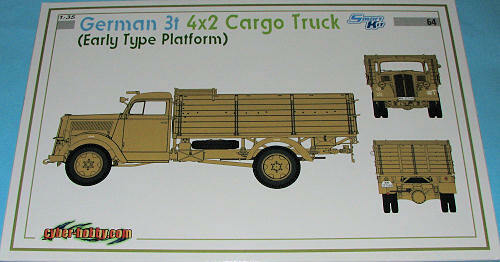 In Europe this truck was considered General Motors contribution to German successes. It is also argued that Opel, a subsidiary of GM, used forced labor to reap unprecedented profits. However, to what degree GM controlled Opel at the time can be argued, but it is clear that GM did in fact play a role in giving Nazi Germany the Opel Blitz truck. 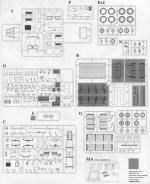 Molded in grey plastic (for the most part), there are nine standard sprues and one clear. A set of windscreen masks are included as well as a small photo etch fret and a DS plastic rolled tarp. The kit comes with a complete engine and a very nicely detailed chassis with full suspension and exhaust. The wheels are such that they are trapped in between tire halves so one will need to paint the wheels and tire halves separately before assembly. There are optional wheel designs that can be used. The cab is quite detailed on the inside and uses decals for the instrument. One has the option of having the doors open or closed. This option also extends to the engine covers. In the back, one has a high side open bed with no cover framework. The framework is folded forward, so one can assume that either there will be a later version of this truck or that the aftermarket folks will come to the rescue with a frame and tarp kit. There are planks in the back which appear to be there to seat troops in five rows with two of the rows being back to back. Not exactly the most comfy way to travel over rough terrain, but probably slightly less tiring than walking. Though not shown in the instructions, the side of the box shows that the tail gate can be dropped open as well. 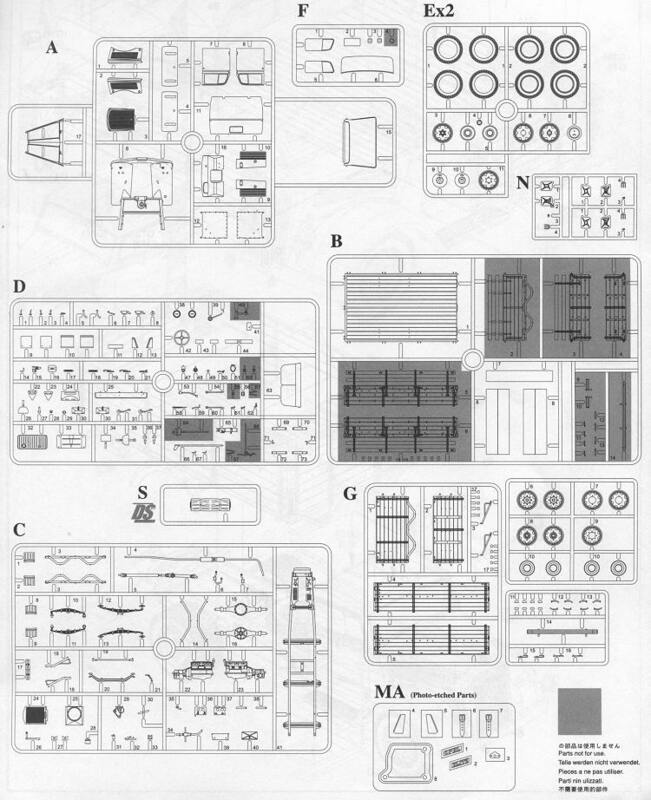 As usual, the Dragon instructions are superbly drawn and quite complete. Less crowded than one often finds on their tank kits. The markings options are for no fewer than seven vehicles. Five are from North Africa in desert tan with 10, 15 and 21 Panzer division as well as 334 Infantry division and 164 Leichte Africa division. The other two are in grey from 7 Panzer division in France during 1940 and HQ, Motorized Infantry Regiment 4 'Grossdeutchland' in Russia during 1941. AThose of us who like wheeled military vehicles should really appreciate this kit. The Blitz was seen everywhere one saw the German Army during the war so there are a huge number of possible markings options for this one.